First Wives Club actress and multiple Grammy Award-winning singer not to mention legendary performer Bette Midler returns to the UK stage for the first time in 35 years. The Divine Miss M embarks on her 2015 tour of the country, stopping by London's O2 on Saturday 18th July 2015, paying tribute to girl groups through the ages, from the swing sounds of the Andrews Sisters, the harmonies of the Supremes, to more contemporary combos, such as TLC. What are the best dining options near Bette Midler: It's The Girls Tour London? 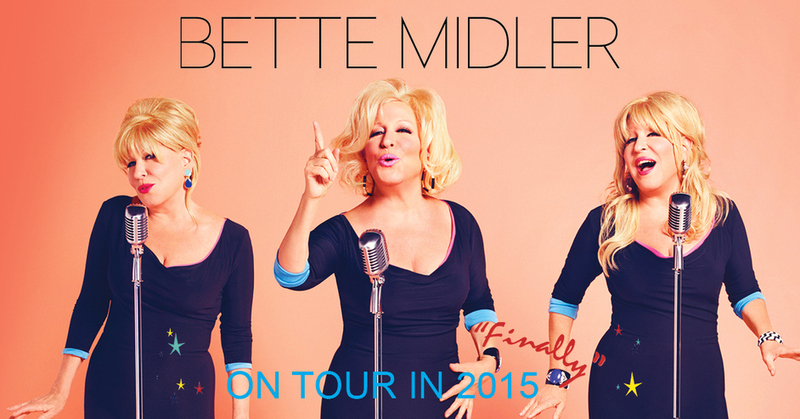 Bette Midler: It's The Girls Tour gyms, sporting activities, health & beauty and fitness. The best pubs near London Bette Midler: It's The Girls Tour. Bette Midler: It's The Girls Tour clubs, bars, cabaret nights, casinos and interesting nightlife. Where to have your meeting, conference, exhibition, private dining or training course near Bette Midler: It's The Girls Tour. From cheap budget accommodation to luxury 5 star hotels see our special offers for The O2 Arena hotels, including Radisson Blu Edwardian New Providence Wharf from 91% off.